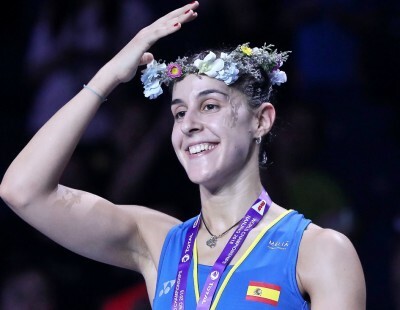 Carolina Marin and Pusarla V Sindhu set up a rematch of their Rio Olympics title clash at the TOTAL BWF World Championships 2018, and in so doing, disrupted the China-Japan narrative that will be the dominant feature of finals day. 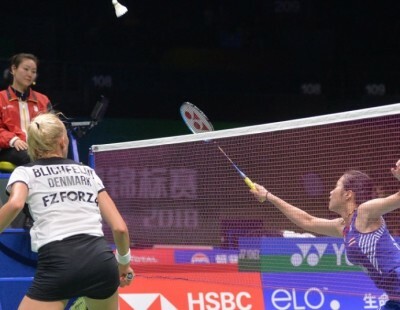 Four of the five finals will feature either or both of the East Asian neighbours, but Spain’s Marin and India’s Pusarla prevented that eventuality in Women’s Singles with stubborn performances in their semi-finals today. History beckons both finalists – if Marin wins, she will be the first triple-titlist in Women’s Singles; a victory for Pusarla would make her the first-ever World champion from India. 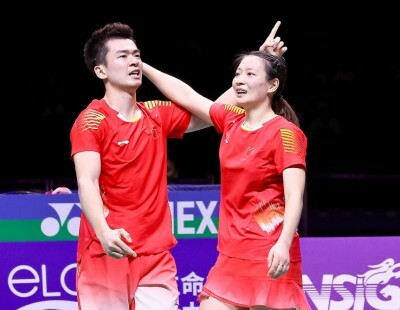 After Marin (featured image) had made it past China’s He Bingjiao, 13-21 21-16 21-13, Pusarla overcame a battling Akane Yamaguchi (Japan), 21-16 24-22. 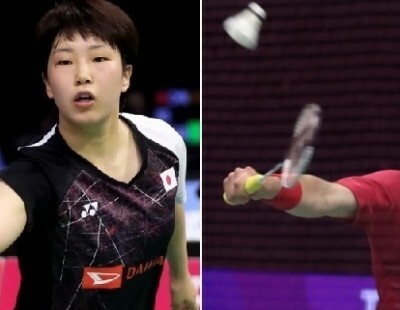 On consecutive days, the Indian beat two players who have beaten her in major finals – Nozomi Okuhara – who edged her in last year’s World Championships final – and Yamaguchi, who denied her the Dubai World Superseries Finals crown. Tomorrow she will be up against a third player who stopped her run at the biggest event of all, the Olympics. Just as she had done against Okuhara, Pusarla prevented Yamaguchi from dragging her into long baseline duels, particularly using the half-smash to deadly effect. But the Japanese regrouped in the second and began to dictate terms, building up a big lead at 19-12. 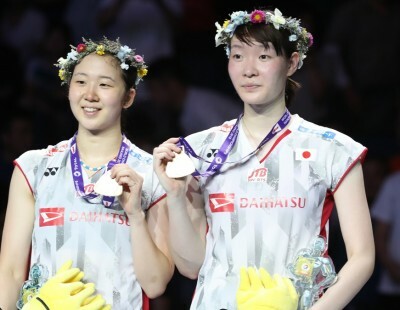 With a third game staring her in the face, Pusarla strung together a great run of eight straight points before Yamaguchi regained the initiative. The Indian had two large slices of luck at the death. 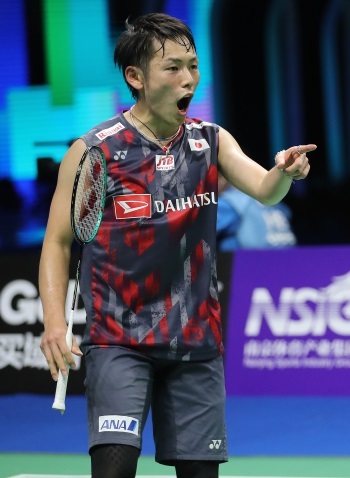 First, the Japanese, serving for the game, delivered so wild a serve that she giggled in embarrassment; on her second game point, with an open court to smash into, Yamaguchi whipped it wide into the alley. Pusarla needed no more help to close out the match in straight games. “Basically, I had to be patient. I was prepared for a long match; Okuhara and Yamaguchi can keep you for long rallies, you just have to be consistent. 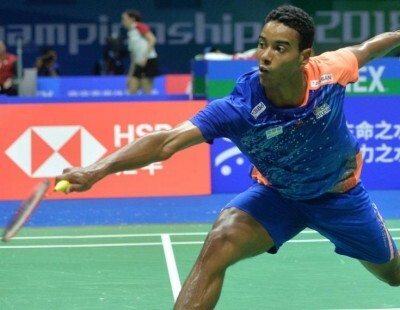 When I was down in the second game, I knew it wasn’t over,” said Pusarla, who will attempt to become the first Indian to claim the World title. Marin, who has summitted the pinnacle twice before, said she had thrived under the lack of attention on her through the week. “Today I knew it would be tough. 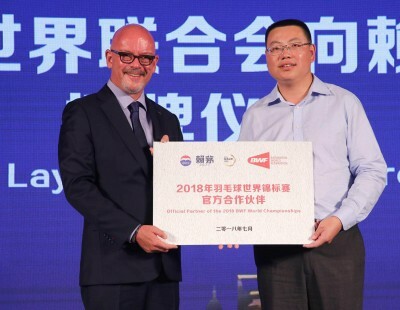 He Bingjiao had beat Tai Tzu Ying, who was favourite for this tournament,” Marin said. 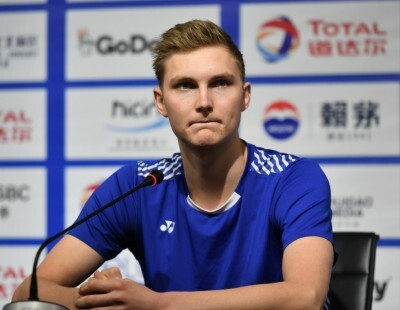 “Today I thought I had to play not just He Bingjiao, but also the home crowd. She had their support and I told myself I have to fight until the end. While Japan’s women’s players have hogged the headlines for a while now, their men are now in a position to create history. 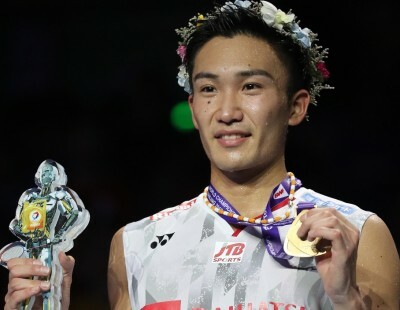 Kento Momota, in the Men’s Singles, and Takeshi Kamura/Keigo Sonoda, in the Men’s Doubles, are the first from their country to contest a World Championships final in those categories. 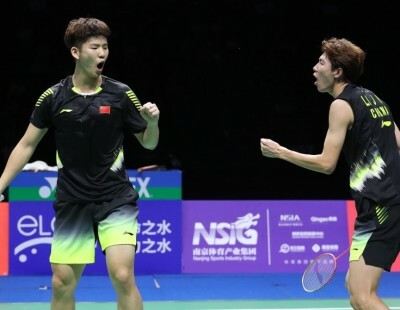 Both those finals will be against Chinese opposition – while Momota faces Shi Yuqi, Kamura/Sonoda take on Li Junhui/Liu Yuchen. 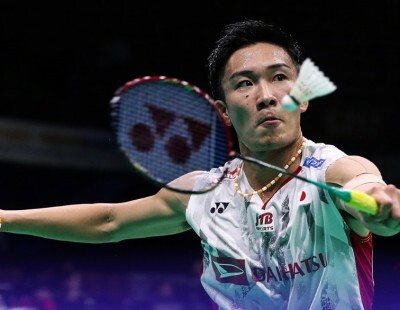 In his semi-final, Momota eased past a less-than-fully-fit Liew Daren (Malaysia), who had hurt his right ankle in the quarter-final yesterday. 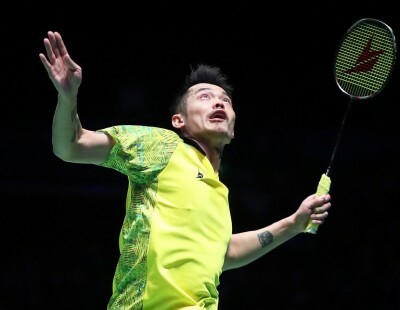 The Malaysian had come out swinging, catching his opponent with his steep hits and nice touch at the net, but once Momota started to find his length, the match slipped away from Liew in a trice, 21-16 21-5. 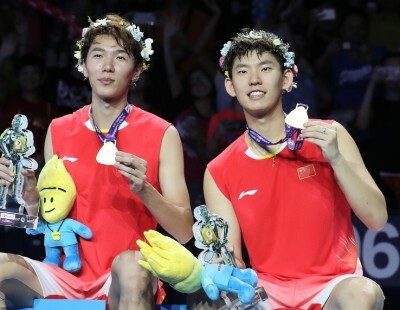 Both Men’s Doubles semi-finals were one-sided. 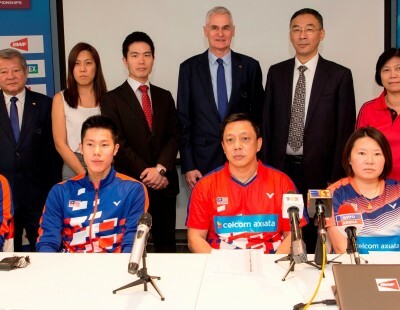 Chinese Taipei’s Chen Hung Ling and Wang Chi-Lin fought on level terms with Takeshi Kamura and Keigo Sonoda for much of the opening game. At 17-all however, a Sonoda return caught the tape and tickled over. 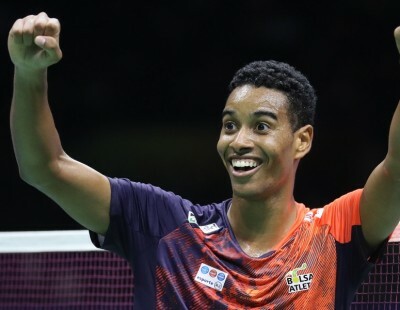 The Japanese were all over their opponents in a flash, getting the next three points, and running away with the momentum in the second: 21-17 21-10. 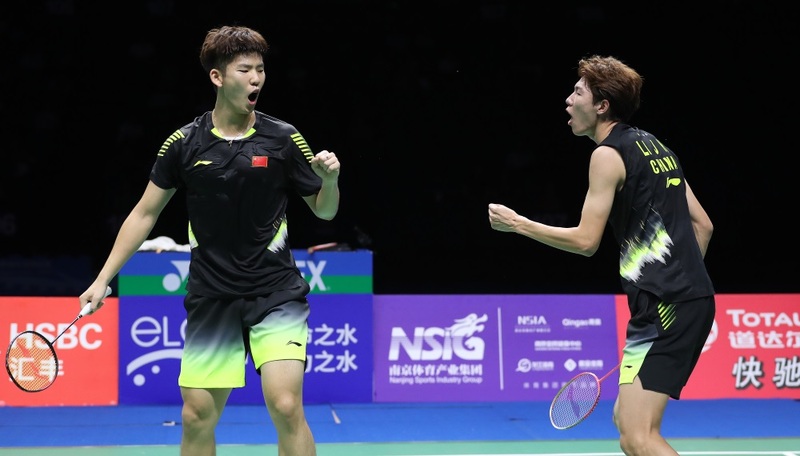 In the last match of the day, young guns Li Junhui and Liu Yuchen prevented Zhang Nan’s bid for a fifth World title when they beat reigning champions Zhang and Liu Cheng in the all-Chinese semi-final: 21-15 21-13.